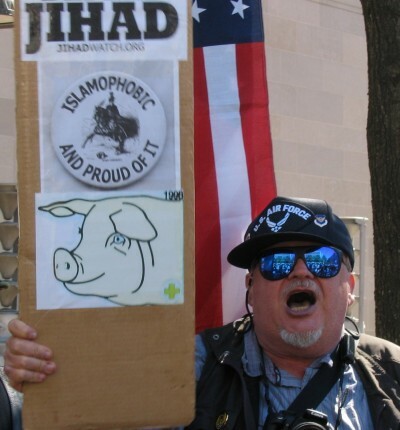 Islamophobia, fear of Islam and Muslims, has intensified with the 9/11 bombing of the World Trade Center in New York, the Taliban’s fundamentalist proscriptions and restrictions in Afghanistan, the Charlie Hebdo attack in France, and the emergence of the self proclaimed “Islamic State group (ISIS) which allegedly shows videos of the beheadings of their prisoners who are more often journalists. There are factual analyses which show that ISIS is supported covertly by US-NATO forces, just as the Taliban was supported by the US to fight against the Soviet Union, and that the 9/11 World Trade Center bombing was used as a pretext to wage war against Afghanistan (October 2001) and oil-rich Iraq (March 2003). These were often labeled as conspiracy theories, but more in-depth investigations and analysis can bring out the truth behind each of these geopolitical events. The point is that Islam has been consistently portrayed by global media as a violent-prone religion that is diametrically opposed to the West. The question of “Islam and the West” has been the theme of various academic conferences in US, Europe, and other countries including Malaysia; it has also been the theme of analytical writings, discourses, and publications. These trends illustrate the significance of the topic, which has significance for other countries in Asia and Africa where Muslims can be found. F. A. Noor (2007) argued that “Muslim identity and the concerns of Muslims are increasingly being defined in terms of an oppositional dialectic that pits Islam and Muslims against the rest of the world” (p. 261), as Islamophobia has become the mainstream media discourse “where images of Muslims as murderous fanatics abound in movies, videos and computer games” (p. 267). “the environmental movement, the pacifist movement against war and the trade of arms, the campaign for equal labor, the campaign against exploitation of children and most recently the wave of anti-globalization….” (p. 274). In relation to Noor’s ideas propounded above, it is essential to counteract the predominantly negative media portrayal of Islam and Muslims with a condensed exposition of the phenomenon of Sufism, which is barely portrayed or understood by Western media, through the writings of two Turkish Sufi spiritual masters, namely: Osman Nuri Topbas on Sufi spirituality, and Bediuzzaman Said Nursi on the need for Christians and Muslims to unite in a critique of modern civilization. It is the nature of media to report on the novel, the sensational, the bizarre, the dramatic, the extraordinary but not the ordinary occurrences in life. Hence, with regard to Islam, it does not report about peace-loving Muslims, or Muslims’ striving for holiness and daily jihad against their egos and natural temptations, or peaceful coexistence between Muslims and Christians in different parts of the world. Through an exposition of Sufism, it will be shown that Muslims who genuinely seek the path to holiness and union with God will never be murderous in their hearts but will be filled with profound gentleness and compassion for all. Sufism existed from the earliest centuries when some Muslims stressed the potential of the Qur’anic message to effect an inner transformation of the believer by adopting many of the harsh ascetical practices of the Christian monks of the desert (Michel, 1997). By the 13th century, Order or Brotherhoods of Sufis existed, each with its own form of prayer and patterns of spiritual exercises, often with its own distinctive dress, lodges, and methods of initiation. They commonly stressed the transforming power of God’s love in human hearts and understood Islam as a path to attain union of love and will with God (Michel, 1997). Sufism is still very much alive and active in many parts of the Islamic world such as in West Africa, the Maghrib, Egypt, Sudan, South Asia, Egypt, Turkey, Pakistan, and Indonesia. Modern Muslim publications in the last four countries mentioned attest to the resurgence of interest in Sufism, but it is in Turkey where Rumi came from that Sufism is thriving at its best. The Sufi way personifies exemplary character traits and propriety. The Sufi way is about purifying the heart and the soul. The Sufi way is a ceaseless spiritual combat against the ego and all kinds of natural temptations that place Muslims away from the path of the Almighty. Sufism means sincerity (ikhlas) which means offering all acts of worship solely for the sake of the Almighty, without any other consideration intruding on the heart. Sufism means standing upright on the straight path which means acting in accordance with the morals and regulations according to the Quran and Sunnah. The Sufi way is obedience and submission to God which entails establishing sentiments of contentment and submission to God deep in the heart as to come closer to Him and feel his Divine Gaze watching over him all the time. To hence care for all people and offer them shelter. To remain with the beloved forever more. The verses above are only a few of the eloquent, sublime verses written by Ibrahim Effendi as quoted by Osman Nuri Topbas in his book on Sufism. With such sublime aspirations of a Sufi on the path to holiness and considering that Sufism is the spirit of Islam, Talibans, Abu Sayyaf, and ISIS cannot be properly called Muslims but are rather deviants and aberrations of Islam and humanity. There are reasons why Muslims feel anger and antipathy towards the West, particularly towards America. In earlier times, the anger was due to the imperialist expansions of the British Empire in Muslim lands. In contemporary times, Noor and Moten (2007) explained that Muslims are angry to see their co-religionists killed in Afghanistan by the U.S. forces and a thriving Iraq illegally invaded and occupied with untold death and destruction. They are also against the Americans’ unbalanced, pro-Israeli policy in the Palestinian-Israeli conflict with its backing of Israel’s continued occupation of Palestinian lands characterized by brutal and bloody incursions into Palestinian camps. These neo-imperialist actions by the US and NATO forces are part of a larger scheme to put nations under political, cultural, and economic hegemony of the global elites, including those who govern the Bretton Woods institutions (World Bank, IMF) and the WTO. Both the Christians and Muslims need to critique, expose, and denounce the neo-imperialist actions of U.S. and its allied forces. I have a right on whatever I want. Nursi rightly saw that if people build civilization on the principles of conflict, competition, and enmity, the result will inevitably be war and mutual destruction. This was proven by the onslaught of the two World Wars which ravaged many nations in the world, and the continuing war or threat of wars among nations at present. Said Nursi also saw that the enemy of human happiness and ethical uprightness is unbelief, irreligion, which implies that people decide to find their own path through life without seeking divine guidance. Facing the common enemy of unbelief, Nursi called on Muslims to unite not only with their own fellow believers but also with the truly pious Christians to offer to the modern world a vision of human life and society in which God is central and God’s will is the norm of moral values. Western civilization has brought much good and progress to many people but various currents of thought in Western history have enabled negative qualities of modern civilization to emerge and sometimes predominate over the good. Nursi identified two negative developments in Western civilization which has spread its influence throughout the world (as cited in Michel, 2005, pp. 29-30). The first is that Western civilization became distant and estranged from true Christianity and based its personal and societal views on the principles of an anthropocentric Greco-Roman philosophy which exalted the human person to the center of the universe and pushed God to its margins. The second is the appalling inequality in the means of livelihood of people due to its unchecked market policies. These negative currents, according to Nursi, seek to destroy both Muslims and Christians by alienating them from the source of spiritual and moral values and by creating enmity between Christians and Muslims. Nursi rejects capitalist culture and decadent civilization which he calls the Second Europe, that which is founded not on Christian ethics but on philosophy rather than religion. The backbone of this global decadent civilization with the primary goal of sensual pleasure is American “popular culture”; hence, for Said Nursi, the clash of civilizations is essentially the clash between decadent civilization and virtuous civilization, with Islamic civilization being the pillar of “virtuous civilization” (Aydin, 2005). Nursi interpreted the Qur’an’s injunction to come to a ‘common term’ with the People of the Book to mean that Muslims and Christians should come to a mutual awareness of their common mission to bear witness to the Divine values in the midst of modern civilization. He expressed through his writings that far from being divided by a supposed ‘clash of civilizations’, Muslims and Christians “are called to work together to carry on a critical civilizational dialogue with the proponents of modernity” (Michel, 2005, p. 31). The predominantly negative media portrayal of Islam and Muslims needs to be balanced by widespread knowledge of peace-loving Muslims who pursue the path towards union of love and will with God. Such is the phenomenon of Sufism which has existed since the earliest centuries and is still active and thriving in many parts of the Islamic world particularly in Turkey. True Muslims, like true Christians, sincerely pursue the path of holiness to attain union of love and will with God; hence, murderous and cruel groups like the ISIS, the Talibans, and the Abu Sayyafs are not true Muslims but are rather deviants and aberrations of Islam. Muslims’ anger towards the West, particularly towards America, is due to the latter’s neo-imperialist actions such as its unjust invasion of Iraq, its war in Afghanistan, its backing of Israeli intrusions in Palestinian camps, and its spread of global capitalist values throughout the world. Said Nursi rightly saw that Christians and Muslims need to unite in a common mission to bear witness to the divine values in the midst of modern civilization. The author agrees with Nursi because there are really deep commonalities in Islamic spirituality and Christian spirituality, and it is on the level of spirituality that these two major religions can find their unity and convergence. Belinda F. Espiritu is an associate professor of communication and Coordinator of the Mass Communication Program of the University of the Philippines Cebu. She has conducted research in Turkey focussing on the writings of Osman Nuri Topbas and Bediuzzaman Said Nursi. Michel, T., S.J. (1997). A Christian looks at Islamic spirituality. Zamboanga City: Silsilah Publications. Michel, T., S.J. (2005). Said Nursi’s views on Muslim-Christian understanding. Istanbul: Nesil Printing. Noor, Eds. Terrorism, democracy, the west & the Muslim world. Malaysia: Thomson Learning.